A mother is taking legal action against the Baldwin County Public School System after her special-needs son was placed in a “timeout room” for hours that some legal experts say is in worse shape than many prison cells. 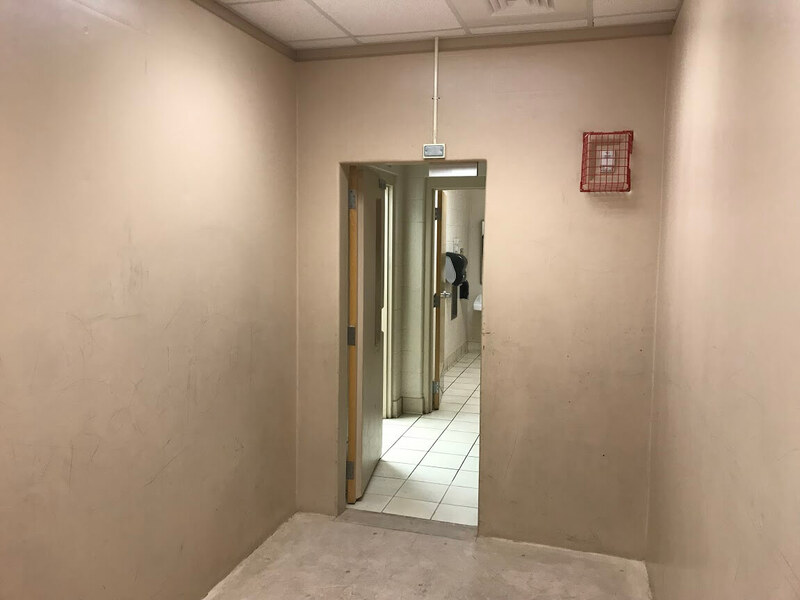 Nadine Whatley claims her son, K.W., was locked in a roughly 8-foot-by-12-foot concrete room with no bathroom and no place to sit for “more than two hours” last fall after a teacher at Robertsdale Elementary separated him from his class. The room in question, which BCPS refers to as a “timeout room,” was specially designed into school construction. While placing a child in a separate room is legal in Alabama, it’s only supposed to be used in extreme situations. It’s also guided by strict policies set by the state board of education, which Whatley believes the school failed to follow. Whatley is currently seeking a due process hearing through the Alabama State Department of Education to ensure her son receives the education he’s entitled to under federal and state law and that he is never placed in that room or another like it again. 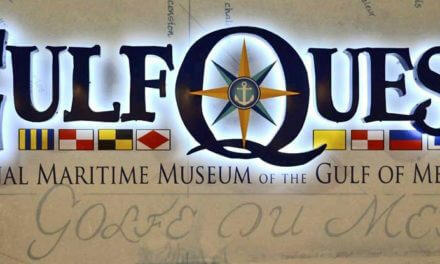 Whatley acknowledged her son suffers from a learning disability and behavioral issues and has problems expressing himself with words, which are some of the reasons BCPS recommended he leave his home school in Fairhope to temporarily attend the alternative school. While K.W. has had trouble in the past, Whatley said she was very angry when she heard about the room where he was placed, allegedly for hours. Attorney Max Cassady, who is representing Whatley in her matter before ALSDE, provided Lagniappe with several photos of the room K.W. was held in last fall, which show the room isn’t equipped with a chair for students to sit in or a restroom, though there is one just outside. Visible pencil markings are also visible on the walls, floor and the door of the room. There is also damage to the inside of the door that Cassady says he believes are “teeth” and “scratch” markings. 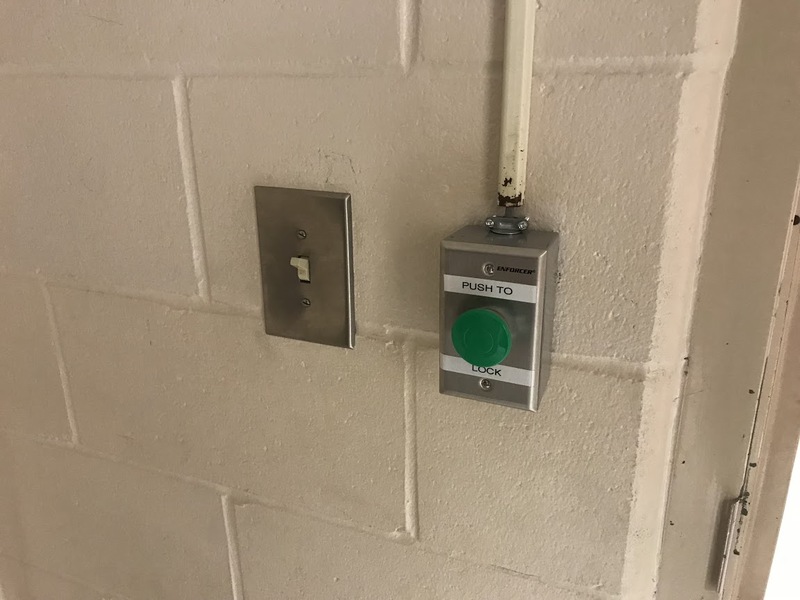 A green button that reads “push to lock” can be seen just outside of the room as well. When state BOE voted to prohibit the use of seclusion in public schools in 2011, some key components of the new rule have to do with whether a child is monitored by a teacher and whether the room he or she is placed in is locked. While seclusion isn’t allowed, schools are permitted to put students in timeout. The state defines an appropriate timeout as one in a “non-locking setting” that’s “free of objects that unreasonably expose a student or others to harm.” It should last no more than 45 minutes and students should be monitored “in reasonable physical proximity” the entire time. 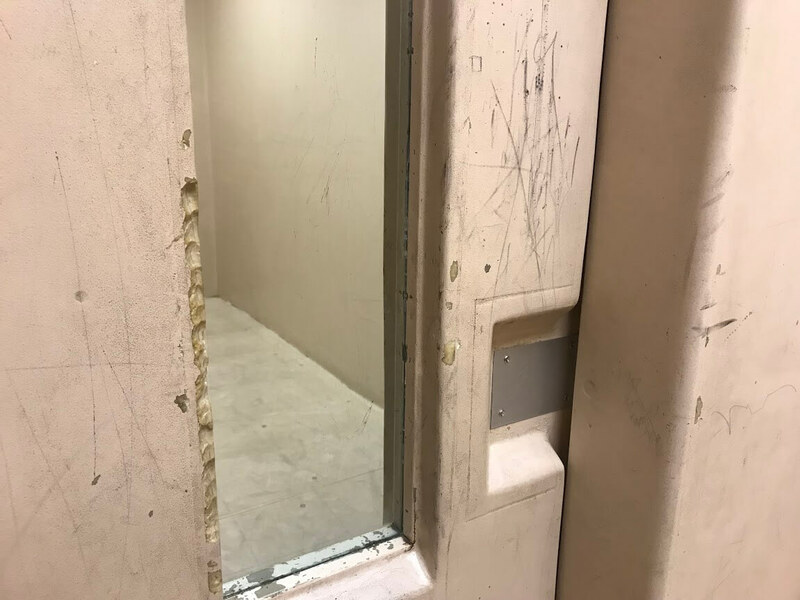 Cassady said school officials previously told him students are placed voluntarily into those rooms when they want “quiet time,” and while the door isn’t locked permanently, the staff does hold down the green locking button in situations where is a child is a danger to themselves or others. “They say [K.W.] 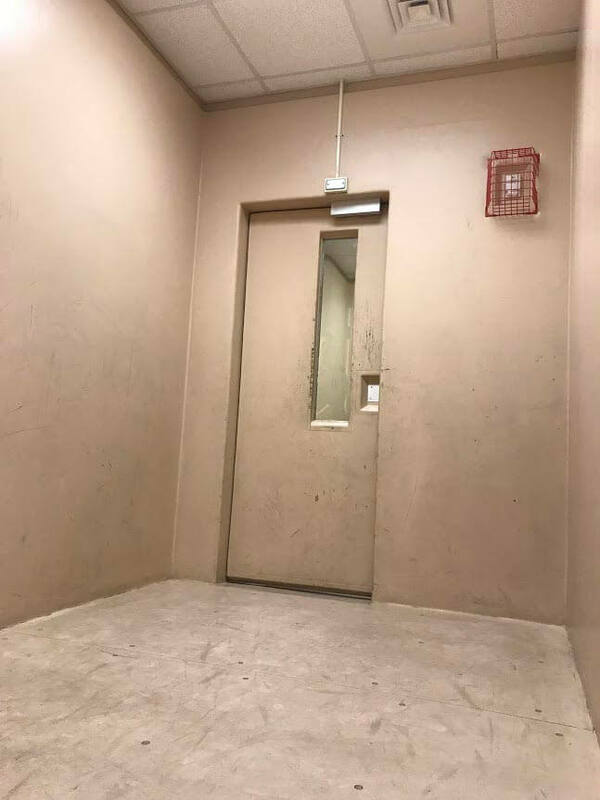 went into this room voluntarily, and our response to that is, whatever is happening in the classroom that causes kids to want to go into an isolation cell voluntarily should not be happening,” he said. James D. Sears, an attorney focusing on special education issues who practiced in Daphne for several years, said the use of seclusion rooms is supposed to be based on the individual needs of each student. He added that some kids may do alright in that type of room for a short period of time, but it could be “the worst thing you can do” for another student. Shown photos of the room in Robertsdale Elementary, Sears expressed a number of concerns. “As is always the case, we cannot speak to a specific case. We love and care for all students and when one is misbehaving uncontrollably due to some type of special need or challenge in his or her life, the circumstances could potentially be much worse if a system employee was left to restrain the child as opposed to putting him or her in a protective room until he or she can calm down or until the student is able to work through whatever episode he or she might be dealing with. Whatley said she wasn’t aware of the practice, never authorized that K.W. be placed in that type of room and was “angry” when she found out he had been. She said her son has not been placed in the room again since she confronted BCPS, but said others have. However, regardless of the outcome of Whatley’s due process hearing, the independent officer assigned to conduct the hearing can’t rule in any way that would affect the school or the system as a whole, only how K.W.’s Individual Education Program is handled. Because damages are not recoverable in special education cases, it’s also not a process that could result in a monetary payout. Cassady described it as more of an administrative hearing with the goal of ensuring Whatley’s son gets the best education possible — preferably at his original school in Fairhope, which is much closer to their home.